Price to Win requires a combination of skills. Price to Win is inherent externally focused. 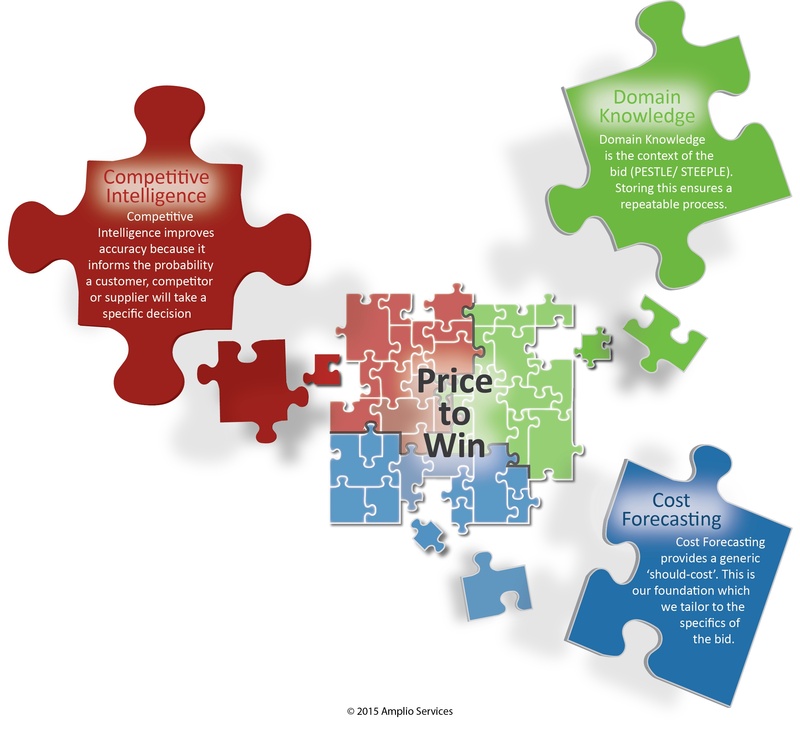 Therefore, every Price to Win practitioner needs Competitive Intelligence skills. However, a major difficultly of Competitive Intelligence is getting high-quality information to work with. In a 2015 survey of Price to Win practitioners, only 18% rated their Competitive Intelligence on International competitors as above average. 38% rated their Competitive Intelligence poor or very poor. Financial Statements are a critical source of information because they are readily available, standardised between competitors and full of rich information. However, they are not easy to interpret. That is why we have produced this course to help analysts leverage the information available in these statements. The course is designed and delivered by Amplio. The information that can be gleaned from financial statements should be cross-referenced with other sources for maximum reliability. For example, practitioners can use the Freedom of Information Act and parametric estimates to cross-reference insights gained from financial statements. This is a course for people who want to learn niche technical skills to interpret financial statements. The course is unashamedly detailed but promises to deliver real insights that will make a tangible improvement to Black Hat reviews and Price to Win. Please contact us to discuss your requirements and how we can help.